We saw a lot of work accomplished in Lakeshore this week. Much of it came through the great group of folks from Saline Louisiana. 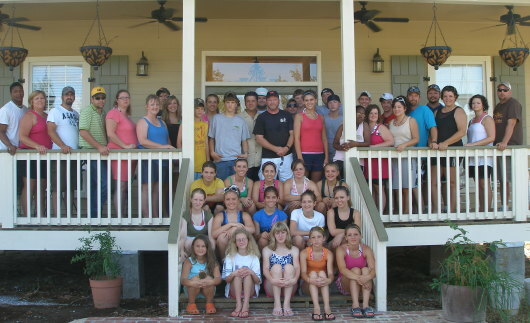 They chronicled their trip through their Magnolia Baptist Church Youth blog, which you will want to check out. they have a lot of great pictures and comments about their trip. Last week a team from Jones County Mississippi dug the holes for the pilings at the Dahl house. This week a team from Houston Texas has been concreting them in. Next week a crew from Pennsylvania will band it and, Lord willing, hang the floor joists. 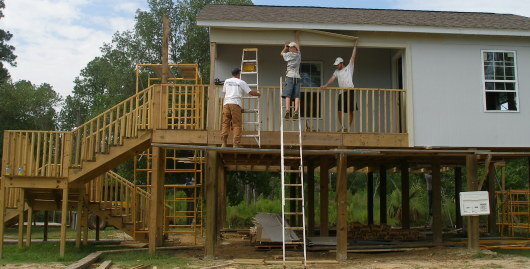 All our rebuilding since the storm has been a walk of faith, but this project required a leap. The generous folks from the Livermore Reformed Baptist Church in California contributed the money for the foundation, but we do not yet have funding for the rest of the project. Two potential sources dried up, but we received encouraging news yesterday from a third. Please join us in prayer as we seek to minister to this single father and his two boys. Since we do not have municipal water in Lakeshore, everyone has their own well. 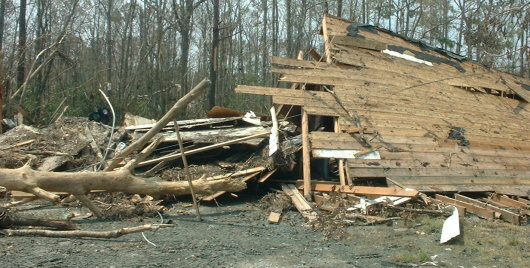 That means part of rebuilding someone’s home involves also building them a pump shed. Many of you who have been to Lakeshore recently, should have no problem guessing which house this shed belongs to. We have a great group from Houston working with us this week. Nearly 90 strong, they have teams all over Lakeshore on about a half-dozen or more of our ongoing projects. One of them has been finishing up a couple of bunk houses to add more sleeping capacity for volunteers. I told them that those working on this bunk room will have a hand in every house built by every volunteer who sleeps here. 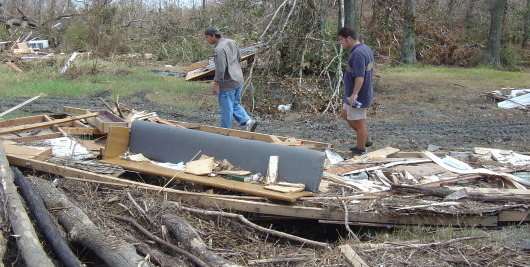 Hurricane Katrina hit on Monday August 29, 2005. That Saturday my dad, brother, and I made our way back to Lakeshore and snapped a few hundred pictures. I posted 100 of them to Facebook. To see them, you will need to sign up with Facebook and become a fan of Rebuild Lakeshore. You can then upload any pictures of your own from your mission trips. We have 34 “fan photos” added so far. I’d love to get as many of your pictures posted as possible, to show the progress and document your experience here. You can also sign our “wall” and don’t forget to add me, Don Elbourne,” as a friend.